What does the Internet of Things hold for marketing? What are the specific areas that will be impacted first? 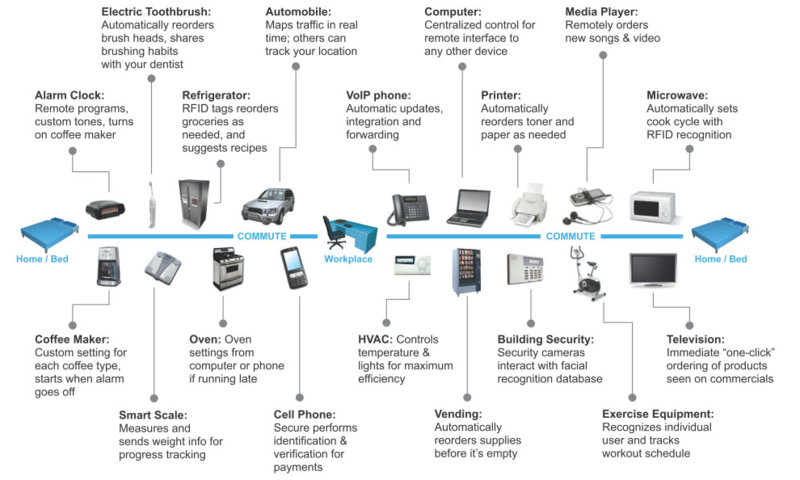 The Internet of Things (IoT) is here today. It is an entirely new paradigm for building relationships, impacting everything we make, buy, sell… and do. It has the potential to mutually benefit both enterprise and consumer. Enterprises gain visibility and consumers gain empowerment. The Internet of Things will change our daily lives as well. The Internet of Things is nothing short of the Fourth Industrial Revolution. The first industrial revolution, in the 18th century, was the movement to mechanized power, the second industrial revolution, in the early 20th century, was about systems of mass production, and the third industrial revolution, over the last half century, was about computers. 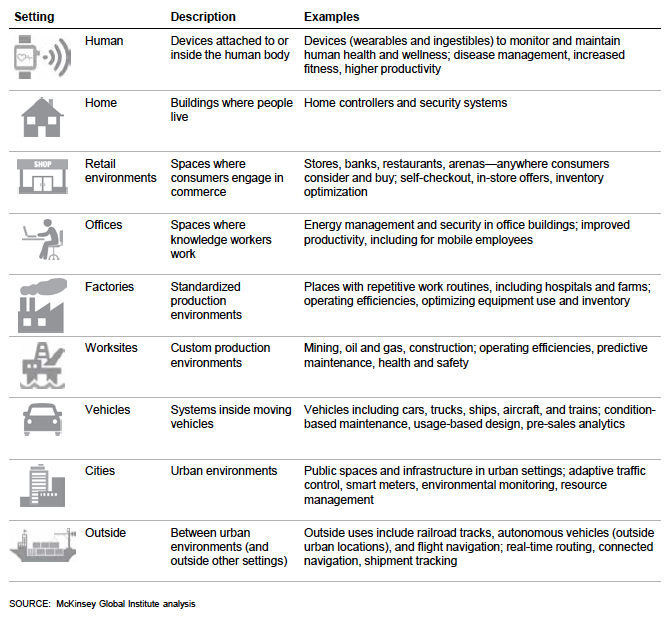 Now, IoT, the Fourth Industrial Revolution, is seen as the convergence of digital, human and physical domains. IoT is the interconnectivity between unique ‘things’ using wireless communication technology that generates actionable insight about the ‘things’. In essence, it refers to everyday devices, things, and people… that are able to automatically exchange information over a network. By connecting these ‘things’, we create intelligent systems. Continuous feeds of data from billions of connected objects will give us new ways to perceive and understand patterns in the physical world. In 2015, there were an estimated 10B connected devices globally and the impact of these connected smart devices on the global economy was estimated at close to $2T. According to a report from the McKinsey Global Institute, connected devices are expected to increase to 75B units in the next 5 years adding close to $20T to the global economy by 2020. The Internet of Things is creating a new, connected universe full of new possibilities for marketing, as we know it. Today, marketers have multiple sophisticated tools to answer some the critical fundamental questions about consumers – what, when, how and where. What are customers buying, when are they buying, how are they buying, and where are they buying. What marketers cannot answer today is WHY are consumers buying what they are buying. Consumer Behavior: With 75 billion connected devices projected by 2020 across the world, one of the key values will be better ‘real time’ insight about consumer behavior. What is the consumer doing, when and why are they buying or not buying? Better Personalization: Marketers will be able to interact with the consumer on a ‘real-time’ basis and personalize the customers’ in-store experiences. Today, multiple precise indoor location technology solutions can tell a marketer when a consumer has been lingering near a product for an extended period of time, but has not purchased. The marketer can then send a message on the consumer’s smartphone to provide help with making the selection or offering a promotion (provided the shopper has agreed to receive such messages). Instantaneous Customer Analysis: IoT will enable Customer Resource Management tools to gather and organize client data and also efficiently and accurately analyze that data providing actionable results regarding the consumer base. IoT devices can help understand where prospects are in their buying journey, and allow the marketer to serve them the right information to ultimately close a deal. Predictive Social Media: IoT is optimized for use with social media. Marketers who are able to predict the development of social communities, and target their efforts towards these communities, will be able to reach potential customers that may not have previously been available. With these better targeted campaigns, marketers will be able to identify and monetize new emerging trends. For example, Toyota’s Friend platform allows Toyota’s cars to use social networks to communicate with car owners – for example sending alerts when regular maintenance is due. Customer Intimacy: IoT gives firms an opportunity to rebuild an intimate connection with its customers. These same technologies – social media, cloud computing and the IoT have empowered customers too, enabling them to be able to provide useful feedback instantaneously. So, if a specific product isn’t living up to expectations, marketers won’t have to wait very long to find out about it, which means that they will be able to cut their losses much sooner. Connected Marketing: IoT will enable a connected API economy and marketplace that is an unprecedented opportunity for every player in the ecosystem. APIs unlock the business value of data residing in ‘things’ within an enterprise and enables the business value to be accessible to the outside world through simple web services. Manufacturers are building IoT developer stacks that can be accessed by other players to build applications for the marketplace. Salesforce.com generates 50% of its revenue through APIs, Expedia generates 90% and eBay 60% – all levering the ‘Connected Marketing’ phenomenon. IoT enables multi-way communications between brand and consumer, brand and object, consumer and object, and object and object. Together, these factors lead to smarter, more relevant advertising and as increasing numbers of ‘things’ are being enabled with sensors and are being placed on the Internet, the face of advertising is going to change for both the marketer and the consumer. There are two fundamental phenomena that IoT will enable for marketers. The first phenomenon is that marketers will be able to answer the why question. This will be enabled based on Big Data and predictive analytics. This additional insight of why a customer is buying a product will ultimately improve products, services, and customer experiences and relationships. Using digital connections to enable deeper human connections is probably the highest opportunity for IoT. The second fundamental phenomenon is that the IoT will allow marketers to interact with consumers in real time. Prior to digital technology, marketers and brands relied on a one-way, communications model. With the advent of the Internet, social media, and mobile marketing, brands now have two-way communications between brand and consumer and consumer to consumer. By adding sensors to the world around us, the IoT creates the opportunity for any element of the brand experience to have a voice. To be clear, adoption of the Internet of Things faces tremendous challenges – power, latency, costs, industry alignment on shared communication standards, protocols, and infrastructure for interoperability; around data integrity, security, access, and control; and around risk aversion, trust, and privacy. Each of these topics merit further discussion. 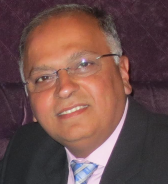 Based in Boston, Jamshed Dubash is an independent consultant focused on creating new business opportunities in the enterprise IoT/M2M market space by integrating wireless ‘edge’ sensors, big data, and advanced analytics to help companies increase operational efficiencies and reduce costs. He has 7 published patents and 10 pending patents in RFID/IoT/M2M/sensors and wireless tracking technologies and applications.